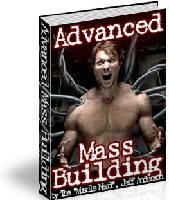 Lee Hayward's Total Fitness Bodybuilding Blog: What's The Best Bench Press Grip For Building The Chest? I thought that placing the arms at 45º or less the triceps were working more than pecs. nice blog, reads well - gym fitness equipment can be found, have a look. 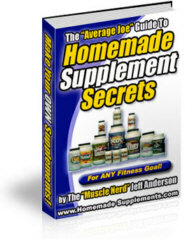 I have read several items on how to do a bench press. I agree that an video would be very helpful. I also was led to believe that close/med grip works the triceps/arms more than the pecs. Yes indeed it's a nice post, but we need visuals. Lee, thanks for the tip. When I 1st began lifting I lifter like this, but because I was just weak and unlearned I wasn't getting far. A guy told me to widen my grip to take some stress off my tri's- like some guys have mentioned. The wide grip did increase my strength, but after I hurt my shoulder I have had to baby my shoulder with light weight. Last week I changed my grip inward and felt more work in my pecs than I used to, so I can attest that the medium grip is better! Thanks again Lee! hey Lee, nice tip from you, but more useful if u provide or post video, thanks dear. come on guys your getting free tips and you want videos too.Buy the book.It should have every thing that u would need. I've used the med. grip for about a year now and have added some serious weight to my bench (over 70lbs) in that time. 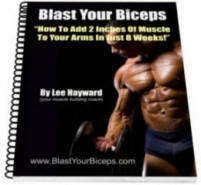 I signed up for Lee's free e-mail tips and have used them in my workouts, try it, you will not be dissapointed! Thanks again Lee and keep the tips coming brother! great post lee! i'm still trying to get the form down to habit, but i can feel a change for the difference even if (for now) the weight is a bit lower. and yeah - what's with the complaints about no vids? lovin the tips no matter the format lee - keep em' coming! Chest day for me is NEVER monday. In fact, I tend to do Chest on Wed. or Fri., just because I like starting with a problem area like Biceps or Back on day 1. Bench for me is an easy area, one I work for maintenance, not strength increase. I've been using this grip for many months now and it does work. I'v even shared this information with a few guys in the gym and they like it. (Yes, I am a female). I do this all the time but thanks for discussing it more in depth; would be nice if there was a video though. Lee- thanks for this tip. I always used a shopulder width grip anyway, since I started natural bodybuilding my sophomore year, in 1972, after school in the weight room at Maine South High School(Park Ridge, IL.). I like how I not only get a great pump on my pecs, but my triceps, with the meduim/shoulder width grip. Natural bodybuilding & adding all-natural muscle mass gives my body a great feeling & confidence, which helps in any goal or hobby I pursue. Your bodybuilding pupil, David "ROCK" Nelson, film maker,actor,comic,former Marine & former boxer. Unfortunately, my cage is narrow so I have to use a wide-grip, but I am doing more DB work along with close-grip benches for tris. hi lee. please send me tips for my stubborn deltoids and biceps. i have tried various techniques for more than 2 years now, without any success. hello sir can u post video showing angles more clearative?